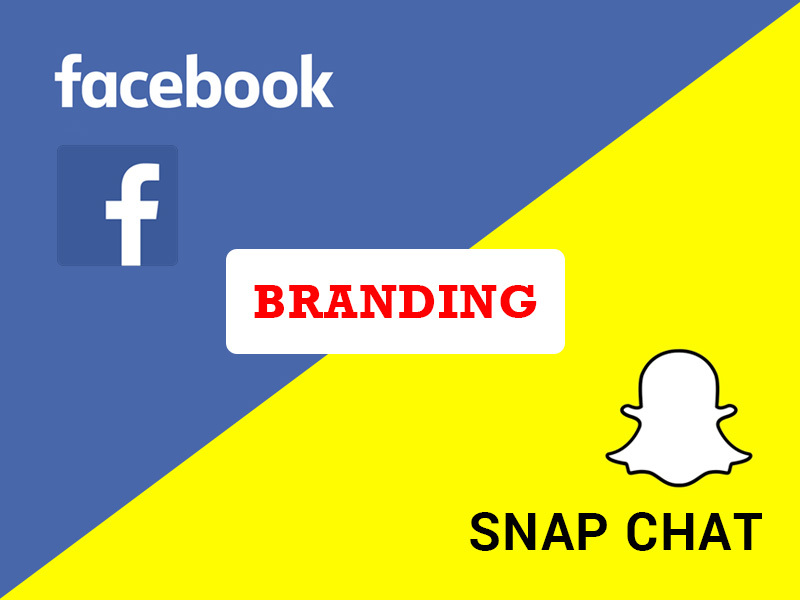 FYI: Which Is The Best Marketing Platform For Your Brand – Facebook vs Snapchat | Pebble Infotech Pvt. Ltd.
Needless-to-say, 2016 has been a massive year for Snapchat. With its uproarious rise in digital media, it’s no surprise that Facebook is after few of its successful features. At the same moment, Snapchat is trying to get rid of all the fleeting contents and incorporating new idea to challenge the biggest social media channel – Facebook. Let’s compare different stats to see which channel dominates the social world. When it comes to audiences, clearly Facebook has the upper hand. With more than 1.65 active monthly users Facebook currently resides at the top in the context of audiences. Till date, there is no social media channel which has been able to surpass Facebook in the matter of audiences. On the other hand, Snapchat has also managed to grab the attention of a large customer base with its unique features and the number has already reached 100 million. But currently, Snapchat’s user base is nowhere near Facebook. In the context of young audiences, Snapchat has more impressive appeal. It is the fun and interactive medium of communication for teenagers. Although it hasn’t evolved much from the day of its origin, it is still attracting a large number of audiences within the age bar of 13-24. But, with Snapchat’s recent algorithm changes, we can clearly assume that this social channel will also be targeting audiences outside this age bar. Hopefully, brands will be able to see Snapchat as an interesting marketing platform in the days to come. Facebook might be a mammoth social media platform but slowly it has been losing its appeal for the younger generation as it is mostly used by older audiences. Teenagers are mostly abandoning Facebook because more of their family members are on Facebook, which contracts their interest to be on such platforms and encourages them to move to a different channel where they can express themselves freely. In most cases, teenagers have reduced sharing contents on Facebook and are slowly moving to more alluring platforms like Snapchat and Instagram. The availability of ephemeral contents and the urgency to check the platform frequently are two of the most powerful points of Snapchat. In Snapchat, audiences have an urge to check contents daily and keep up with the latest trends before they start disappearing. A post on Snapchat only lasts for 24 hours, so the contents are more intense especially when a user has a large number of friends. Recently, Facebook seems to be fascinated by ephemeral contents, so they are planning to release secret conversation on messenger, this feature provides the user a timer to control the visibility of message conveyed on the messenger. We can’t deny the fact that Snapchat has brought an innovation in social media content; its uninterrupted growth is being attributed to the unique combination of creativity, visually appealing contents, ephemerality, and creativity. Besides that, Snapchat’s idea of vertical videos has also proven to be fruitful. Facebook used to have all the advantages a few years ago, but now it is heading for a more mature stature. Facebook has established an organized way to promote branded contents and have pulled almost all world-class brands into their platform. Facebook keeps users engaged and provides a planned route for content marketers to display their products and services. With Facebook, brands can also keep their users up-to-date with latest news and offers. However, the emerging monetization on Facebook has reduced the effectiveness of organic posts. So, most people don’t think Facebook pages are effective as they used to be, at least not without spending for advertisement. On the counter side, Snapchat has revolutionized the meaning of brand advertisement with their innovative visual contents. However, not all brands are yet ready to experiment with Snapchat, the main reason behind this might be Snapchat’s lack of options to measure the efficiency of contents. If Snapchat would incorporate this function more brands will be investing on this social platform. Here is the fact concluded by a research done in November 2015, “Snapchat counts 10 billion video views per day whereas the daily video count of Facebook is only 8 billion. Both platforms are head to head in terms of video contents. The uproarious rise of the video contents is not coming down soon, and both Facebook and Snapchat have their own advantages in terms of video contents. Recently, Facebook has been promoting native video among brands, which has significantly boosted the engagement rate in the platform. Experts have pointed out that native videos are 4x times more interactive than videos on Vimeo and YouTube. Snapchat on the counter side has definitely reached a milestone with their innovative video content ideas. In the beginning of 2015 Snapchat only had 2 billion daily video views per day but at the end of the year, it reached 10 billion, a straight 8 million boost. Till date, Facebook is the king of social channel, but 2016 is Snapchat’s big year, most marketers are eager to see how the future will widen for these two platforms. Within a short span of time, Snapchat has managed to bag a large number of audiences and is growing its reach. Even the stats are nothing compared to Facebook, it’s quite to impressive to see a social media channel expand so fast. At this pace, Snapchat will definitely reach new heights within a short span of time.